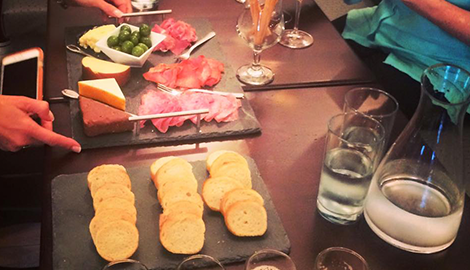 Via Girasole Wine Bar offers an incredible gourmet experience for both wine connoisseurs and beer lovers. Looking for a date night? A girls night out? A book club venue? Just want to come and enjoy a glass of wine? Come visit us at Via Girasole Wine Bar! the glass, bottle, and the flight for your enjoyment. Your Wine Bar on the Erie Canal! 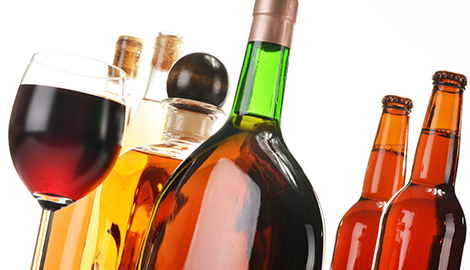 Wine has a rich history dating back as far as 7,000 BCE. Wine production techniques continually improved and consumption increased, especially flourishing from the 15th century onward, as a result of European expansion. Despite the massive vineyards destruction in 1887 by the phylloxera lice infestation, modern science prevailed, and technology provided adaptations that have allowed wine production and consumption to expand to every corner of the world. 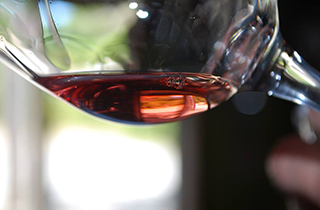 The continual popularity of wine is due to many factors, including well-documented health benefits and great taste. 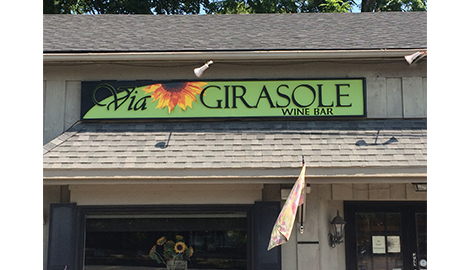 At Via Girasole Wine Bar in Pittsford, NY, we are passionate about wine, and our goal is to share our passion with all our valued clients--connoisseurs and novices alike. To that end, you will find that our staff is both friendly and knowledgeable, always willing to assist you in every way possible. Whether you are a fan of deep, rich red wines or partial to fresh and fruity whites, you will find our selection exceptional and our wines delectable. Perhaps you are not a wine drinker at all but thoroughly enjoy a great beer. 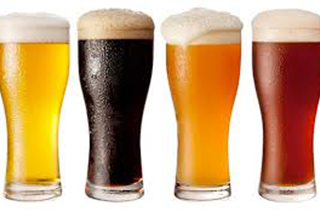 We offer a great selection of craft beers as well. Served by the flight and by the bottle, there is something here for everyone. 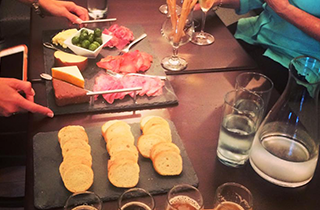 Our superior beverages are quite wonderful all by themselves; but, for those of you who would like a bite to eat while you enjoy your beer or wine, we offer a wonderful selection of cold, cooked deli meats, charcuterie boards, and cheeses. If you are ready for an extraordinary gourmet experience, stop by Via Girasole Wine Bar, "your wine bar on the Erie Canal," today!